ICF walls or insulated concrete forms is a construction method that will give your structure unmatched strength, durability and energy savings in comparison with other building types. It is becoming more popular among home builders and commercial builders due to the benefits of energy savings, shear strength and speed of the construction process. ICF walls consist of reinforced concrete and EPS foam for high r-value. This method is used not only for foundations but for the entire structure from footer to roof. The concrete used in ICF walls is a mix design using smaller stone for trouble free pouring. The concrete is poured inside two panels of insulation giving the wall superior strength and high r-value. The plastic ties which holds the forms together work as fastening strips for the interior and exterior finishes. 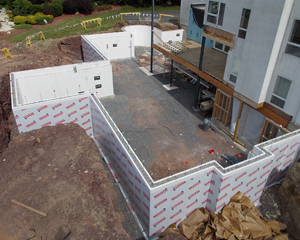 ICF blocks are reversible and provide continuous insulation. 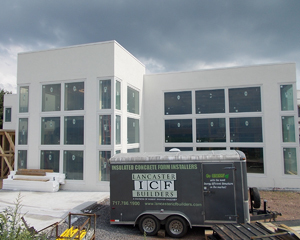 Using the ICF method for the building envelope provides superior strength and durability compared to tradition wall types, in fact insulated concrete form structures have up to 600% more strength than other wall types. The concrete cures at a slower rate inside the EPS panels which gives the walls extreme structural integrity. 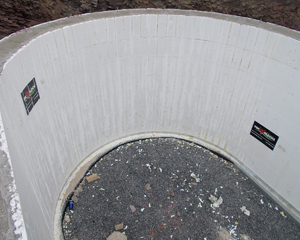 There is less waste using ICF walls which in turn is great for the environment and a cleaner construction site. 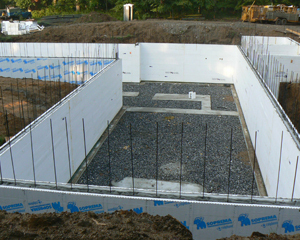 Building with ICF's you can save an estimated 50-80% on energy cost. Not only will you save money on heating and cooling your structure, it will protect you in high winds, fire, and flooding situations. With all the benefits using ICF's such as, sustainable, superior strength, maintenance free, healthier indoor environment, and energy efficiency has put this type of green building technology at the forefront.